(CNN) - The Treasury Department does not plan to mint a $1 trillion platinum coin to avert federal government default, a spokesman said Saturday. The statement from Deputy Assistant Treasury Secretary Anthony Coley effectively puts to bed speculation that the administration would act unilaterally to avert default. It also puts the onus on Congress – specifically Republicans in the House - to act. "Neither the Treasury Department nor the Federal Reserve believes that the law can or should be used to facilitate the production of platinum coins for the purpose of avoiding an increase in the debt limit," Coley said in a statement. With the Saturday statement, the Obama administration has shut down two potential legal loopholes by which the executive branch could avoid the Treasury from being unable to pay the nation’s bills. Defaulting on the nation’s debts would be catastrophic to the economy. Hesitation over the debt ceiling in the summer of 2011 caused the stock market to tumble and led to the downgrade of the nation’s credit rating by Standard & Poor’s. As that debt deadline loomed, Obama was asked about one potential loophole: reading the 14th Amendment’s requirement that the “validity of the public debt of the United States … shall not be questioned.” If Congress were not to act, some have suggested, the president could act unilaterally, viewing the debt limit as unconstitutional and – in the words of former President Bill Clinton – “force the courts to stop me." White House Press Secretary Jay Carney ruled out that constitutional route on Friday. "The president and the American people won't tolerate congressional Republicans holding the American economy hostage again simply so they can force disastrous cuts to Medicare and other programs the middle class depend on while protecting the wealthy,” Carney said. “Congress needs to do its job." The second loophole would be to mint a platinum coin of a large denomination, which the Treasury is authorized to do and is not subject to the restrictions placed on coins made of other metals. Stamped with a denomination such as $1 trillion, that platinum coin would be deposited into the Federal Reserve. Some experts say it would not inflate U.S. currency overall because the coin would be a technical device and not enter into circulation. The laws which leave this loophole, however, were not designed for this purpose. The authorization to mint platinum coins, for example, was intended to allow production of collectors’ items. The federal government has already reached the debt ceiling of nearly $16.4 trillion, Treasury Secretary Timothy Geithner said last month. Right now, his department is staving off default through “extraordinary measures,” which are expected to cover the balance for a few more weeks. Political analysts are looking ahead to what could be a showdown which rivals the fireworks of the fiscal cliff negotiations of just a few weeks ago. Obama has called on Congress to raise the debt ceiling without the haggling. "While I will negotiate over many things, I will not have another debate with this Congress over whether or not they should pay the bills that they've already racked up through the laws that they passed," he said after the fiscal cliff deal passed the House. "If Congress refuses to give the United States government the ability to pay these bills on time, the consequences for the entire global economy would be catastrophic - far worse than the impact of a fiscal cliff." But some Republicans want to see spending cuts balance an increase in the government’s borrowing ability. Among them is Sen. Deb Fischer of Nebraska, who delivered her party’s weekly address on Saturday. "I believe we cannot agree to increase the borrowing limit without addressing our out-of-control spending,” she said. “That's why Nebraskans sent me here. That's what the American people demand. And that's what our children and our grandchildren deserve." Congress is also faced with the March expiration of the resolution funding the government and the sequester, those across-the-board spending cuts created by Congress as an incentive to avoid a future showdown similar to the 2011 debt ceiling fight. But that attempt failed, and Congress avoided the fiscal cliff by, in part, pushing those cuts back to this spring. The Treasury Department judgment was first reported by The Washington Post. - CNN's Gregory Wallace, Kevin Bohn, and Charles Riley contributed to this report. please mint it, we beg you! ================================================================================================ Take a look at Ronald Regan's spending. How the cut & spend economic system of George W. Bush – with two wars not even in the budget? Do your homework rather than staring at Fox News. Framing the debate as "raise the debt ceiling vs. default" is a giant lie. The 14th Amendment does not allow default, but does allow spending cuts. The debt ceiling was put in place to force spending cuts. The economy cannot support the continued growth of government as a fraction of GDP. The economy needs government spending cuts. Obama is insisting on continued spending increases and threatening unconstitutional action (default) if the Republicans don't rubber stamp his spending increases. The public needs to understand that spending cuts are the only choice that can avoid destruction of our economy. We haven't had a budget since 2009. Of course we're spiraling out of control financially! that budget has carried over for 4 years and is one of the worst budgets this country has ever seen. Kudos commander and chief. Remind me again why we elected him again? Oh right, best of two evils – ha! nice, america. Why dosent congress debate flag burning ,abortion, and gay marriage . Those are usually the topics they bring up when they dont want to tackle the real issues. King Barry has a spending addiction, but is about to learn a lesson in WITHDRAWAL. He is soo immature when it comes to financial matters. "Hesitation over the debt ceiling in the summer of 2011 caused the stock market to tumble and led to the downgrade of the nation’s credit rating by Standard & Poor’s." The down grade was more about not dealing with spending than the hesitation. ================================================================================================ It wasn't "hesitation" it was "hostage-taking" by the Tea Party. Standard & Poor said the downgrade was based on a lack of faith in our Congress's ability to work together and manage the obligations we had already incurred. Why is this article appear to be bias. Why are democrats consistently want to continue to spend money? If you don't have the income to pay your bills, reduce your spending. You can not continue to borrow for this long. The American people need to understand sacrifices have to be made. Whether its if you have to increase the retirement age by two years, so be it. Republicans are not at fault here. If congress fails to act, I will blame Democrats til the day I die. But they didn't say that they don't have plans to make a $2 trillion coin. JM, the president cannot spend money that Congress has not appropriated. The president cannot even borrow money that Congress has not approved. That is the debt ceiling. Congress is the only one that can cut spending. As far as sacrifices go, Republicans have no standing demanding sacrifices when they fought to keep their tax cuts first in the debt ceiling and fiscal cliff crises. Tax cuts without spending cuts equal deficits. Tax cuts without spending cuts in a recession equal bigger deficits. The fiscal cliff deal increased the deficits by almost 4 trillion, most of which came from the extension of tax cuts. Your last sentence is laughable. If Congress fails to act, you will blame Democrats. Republicans control the House. They write the budget. They pass the continuing resolutions when there is no budget. If there are no spending cuts, blame the people who won't write the spending cuts into the budget, or won't write a budget that will pass the Senate and be signed by the president. and while you are at it mint a Gazillion $ one too just as a backup. can I have one to stick i my "piggy" bank? If the FED and TREASURY can fund the banks with trillions,it should do the same for the economy.The Right is anxious over tomorrow and the President is mosly concerned about his agenda to give extensive effort to and issue which is beyond his time in office.This is a perfect storm to reach resolutions filled with fiscal missteps for today as well as tomorrow.The GOP is like the driver behind the half blind inexperience driver ,tying to get him to speedup.If America defaults,the debt skyrockets because of the interest .The.Presidens has said Americans get paid first,the market will crash and the FED and TREASURY have no choice but to fund the government .Although the fiscal need is here,this Group could not amicably reorganize a small agency,let alone the whole government.Why insist on going ahead with heart surgery with dentists.LIVE AND DIE ANOTHER DAY. They probably also vetoed it because doing such a coin would be physically impossible. Even if they went with an ingot instead of a coin, you can't just take a piece of metal, stamp it with a denomination and make it so – not with bullion. The coin/ingot would need to contain $1T worth of platinum, and as another network correctly pointed out, the physical size of such a thing would impossible to work with. A few years back the Royal Canadian Mint made a few $1 million gold bullion coins and those things needed a forklift to be moved around. Plus has anyone asked if there is actually a trillion dollars worth of platinum out there? It would render the metal even more rare, which would be great for those who have their own platinum coins and jewellery or whatever, but the moment anything was ever done with that coin, it would collapse prices. It was an interesting idea, but from a physical standpoint, unrealistic. The baby not born yet. The baby boomers will go down in history as the greediest generation that ever lived. -The history books are not going to care who was and who was not killing the system, just like the history books do not care that not all whites, had or used black slaves or that not all Spanish people wanted/and or did kill the South American tribes. Facts that will be remembered in the future. -The county let in more immigrates than the rate of job growth, and the same time the older workers refusing to retire, thus destroying the earning power of the next five generations. -The baby boomers are suckers for investment mania (pump and dump) forcing the Gov. to bail them out again and again and again. Examples, .com, housing, gold, T-bills. Etc. Going back to the baby boomers, they will go down in history as the greediest generation that ever lived. THE BABIES AND BABIES NOT BORN YET WILL NOT CARE THAT YOU WANTED/NEEDED THE MONEY. THEY WILL NOT PAY THE DEBTS OF PAST GENERATIONS. Maybe one could argue: They might as well borrow 500 trillion let alone 1-The babies are not going to repay. Why would they? They will be too busy trying to clean up the garbage and clean the water. Liberals everywhere love the trillion dollar coin, because it enables them to be fiscally and monetarily irresponsible. That was Obama's best chance to get his likeness on US currency. Now he will have to rely on the 3 dollar bill. It should be a chocolate covered peppermint patty, embossed with the slogans, "Greed Is Good" and "Mission Accomplished". A digital artist could be hired to merge portraits of all congress members into one miserable visage which would be embossed on the face of each minty coin. And the whole mess would be wrapped in .999 fine platinum foil like Passover gelt. 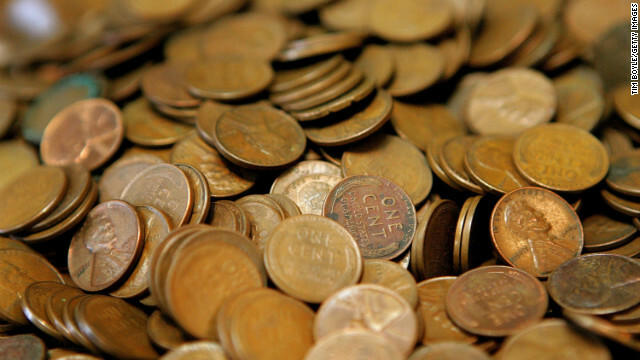 If they did make a $1T coin, what would happen if it got stolen? That's a lot of $$$ to lose. I'm as liberal as they get but readily acknowledge that our party has not done a sufficient job in curbing spending. While I question timing and tactics of our friends across the aisle, the painful truth is that we need to implement cuts wherever possible and every line item in the federal budget needs to be included. The whole notion of a coin is Obama supporter problem solving...not willing to do the work of solving a problem, find a ridiculous gimmick that allows you to avoid doing any work..Ridiculous! "While I will negotiate over many things, I will not have another debate with this Congress over whether or not they should pay the bills that they've already racked up through the laws that they passed," How about a debate with congress on passing laws that cut spending? Oh, right, that will destory SS and Medicare. Obama has no intention of cutting anything from the budget. Period. "The American people need to understand sacrifices have to be made. Whether its if you have to increase the retirement age by two years, so be it. Republicans are not at fault here. If congress fails to act, I will blame Democrats til the day I die."